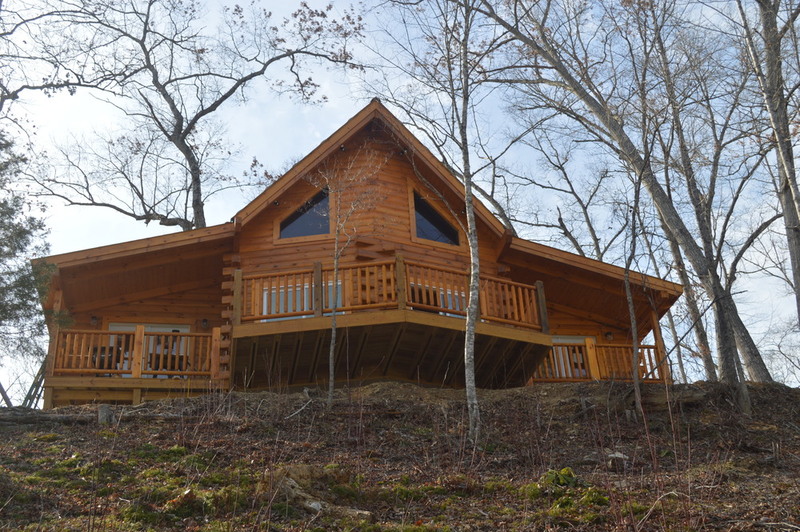 Sleeping four, Bear Lair is our first and most popular cabin. Perfect for couples, Bear Lair is a warm, cozy lakeside retreat and features a wrap-around porch, a private dock with a scenic view, and an electric powered boat. A Sneaky Bear's Dream, coming soon, is our newest cabin. Sleeping four, A Sneaky Bear's Dream offers guests a more secluded experience. 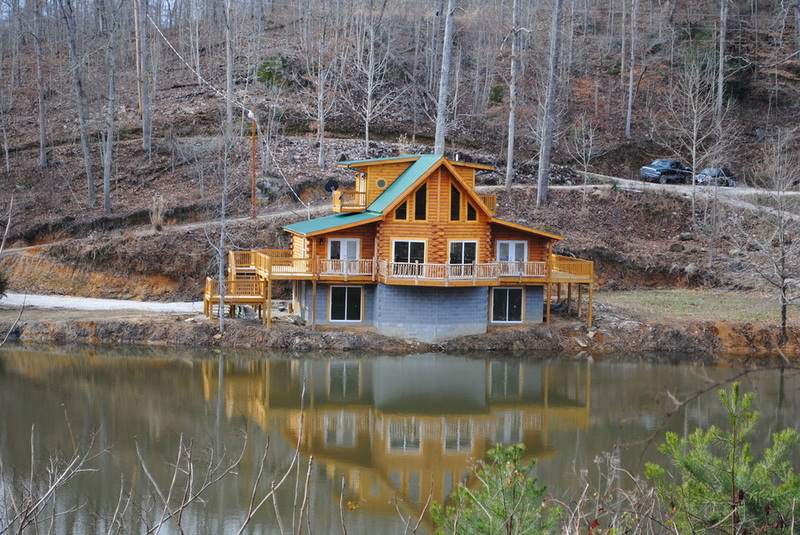 On top of a hill with a beautiful view of the lake, this cabin is sure to be unforgettable. Sleeping seven, A Sleepy Bear's Dream is our largest cabin. With a hot tub, pool table, a deck over the lake, and an electric powered boat, A Sleepy Bear's Dream is the perfect place for an unforgettable family vacation. 30 minutes from Red River Gorge. Though most don't want to leave the property. 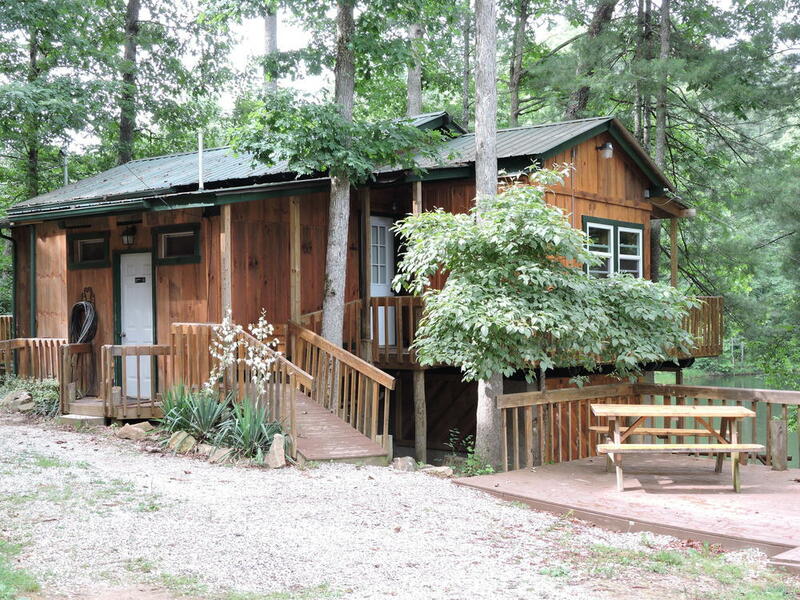 Our cabins are around 30 minutes away from the beautiful Red River Gorge and 20 minutes from Natural Bridge State Resort Park. Although Red River Gorge brings visitors to our cabins, our beautiful cabins combined with the property keep them coming back. With a lake, hiking trails, and numerous caves and overhangs, we promise your vacation will be unforgettable. Bear Track Lake. The center piece of the property. 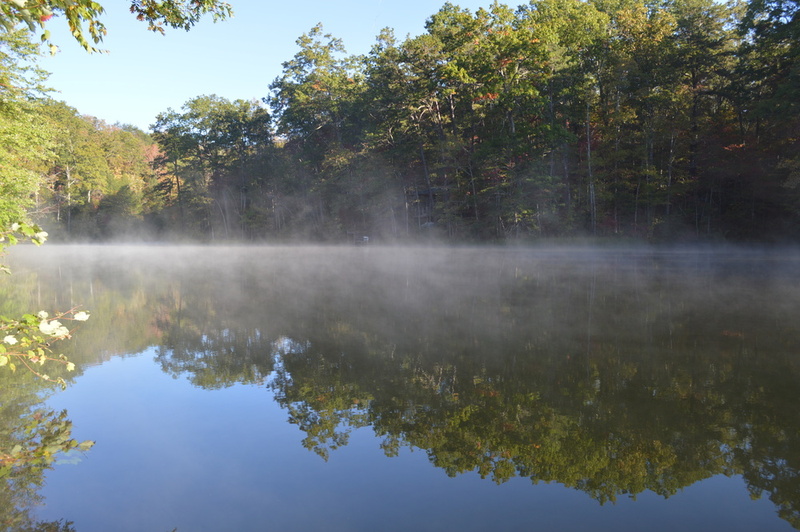 Bear Track Lake is a 29 million gallon, spring fed mountain lake that covers more than 6 acres of land. It is located in the center of a 25 acre piece of paradise that is surrounded by spectacular cliffs and undisturbed forest and features caves, waterfalls, and huge rock shelters. The lake itself is absolutely full of many species of fish. A unique piece of Red River Gorge. All within the property. 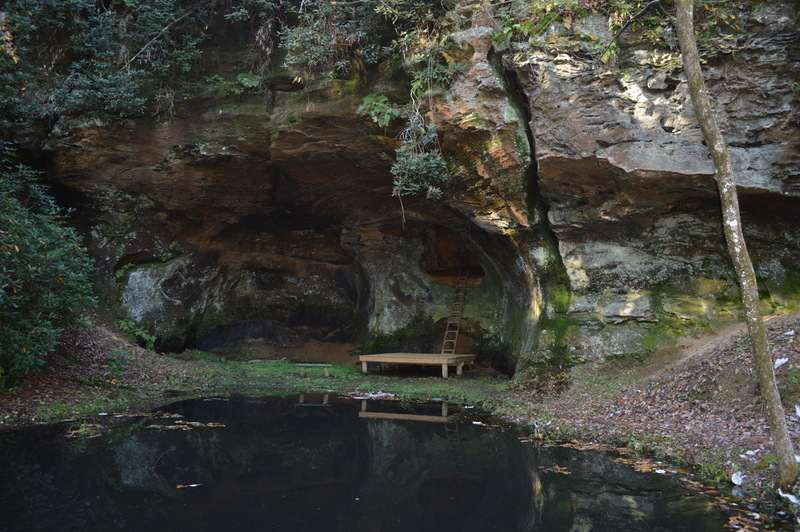 With a tour around this property one can see, in addition to the lake, two caves which most likely have served as shelters to early man. One will also find huge trees, spectacular cliffs, and giant overhangs. One overhang even sports a natural arch, with the other having cave carvings which have been estimated to be over 6000 years in age. 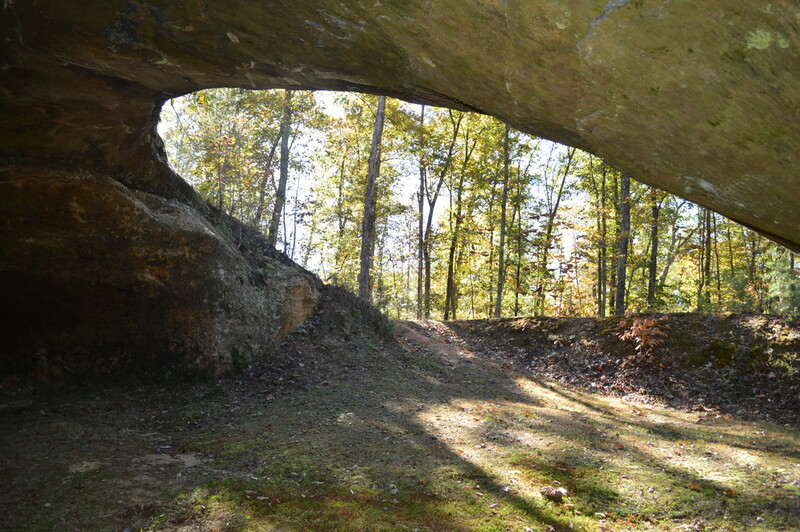 More information about Natural Bridge State Park or Red River Gorge.